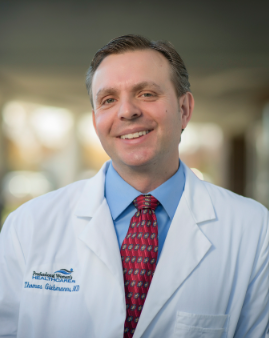 Dr. Giebmanns is a Board Certified OB/GYN who earned his Medical Degree at Hahnemann/Allegheny University in Philadelphia, Pennsylvania, and completed his residency in Obstetrics and Gynecology in 2002 at the University of Rochester in Rochester, New York. He is a Fellow of the American Congress of Obstetricians and Gynecologists. He established Professional Women's Healthcare in 2005 to provide compassionate, quality healthcare and advanced surgery to women of all ages. Dr. Giebmanns became trained in NaPro Technology in 2011 at the Pope Paul VI Institute in Omaha, Nebraska. This system uses a targeted evaluation of hormone levels, and has allowed Dr. Giebmanns to treat patients for infertility, irregular cycles, ovarian cysts, premenstrual syndrome, postpartum depression, and multiple other gynecologic issues using natural methods. He also employs NaPro Technology during pregnancy to decrease risk of miscarriage and prematurity. Looking for help? Need Support? Contact Us!